CHICAGO — A summery breeze swirled through the Jay Priztker Pavilion Thursday evening, tempering an unseasonably warm day in Chicago and part of a picture-perfect evening in Millennium Park. Joining me were more than 10,000 Chicagoans, gathered for the season openers of the Chicago Symphony Orchestra (CSO) and the Civic Orchestra of Chicago, the CSO’s professional training orchestra which celebrates its centennial in 2018/19. As a celebratory kick-off, the two orchestras combined forces, with nearly 150 musicians playing side-by-side — it’s the first time the full orchestras have ever played together, and the ninth free community concert of its kind since Muti joined as conductor in 2010. Dubbed the Concert for Chicago, each of the three works on the 75-minute program, according to maestro Riccardo Muti, speaks to some aspect of freedom and liberty. “Love, brotherhood, freedom, liberta,” he said in the opening remarks reminding us that Rossini’s Overture to William Tell is about the eponymous Swiss patriot, not the Lone Ranger. It’s part of an overarching theme for the CSO’s season, which is inspired by the 100th anniversary of the Armistice which ended World War I in 1918, and includes performances of Verdi’s Requiem in November, William Schuman’s Ninth Symphony and Mozart’s Requiem next February, plus A Requiem in Our Time for brass and percussion by Finnish composer Einojuhani Rautavaara, in a concert to be conducted by Mikko Franck in May 2019. Joining William Tell for opening day were Verdi’s The Four Seasons ballet from the opera I vespri siciliani and Tchaikovsky’s 1812 Overture. In addition to the theme of freedom, the other thing these works might have in common — other than being toe-tapping crowd pleasers, of course — is each composer’s generous, affectionate treatment of the cello section in these works. It’s easy to forget, knowing their rousing and cacophonous endings, how tenderly and beautifully William Tell and the 1812 Overture begin. Verdi saves his luxurious cello goodness for the end of his work, while the woodwinds are the stars of the warmer seasons, with gorgeous clarinet and oboe solos (by new principal oboe William Welter) in the spring and summer movements, respectively. And the what does The Four Seasons have to say about freedom? The opera I vespri siciliani is set in French-occupied Sicily during an uprising for independence, but more cynically, one might call Verdi’s Four Seasons a reclaiming of independence from opera singers. In this rare occasion that he wrote ballet music, Verdi asserts his expertise for expressing movement through instrumentation; his Four Seasons is wholly unlike the better known Vivaldi suite of the same name, which is likely what many guests to Pritzker Pavilion showed up thinking they were about to hear. Where Vivaldi invokes nature — whipping winter winds and stagnant summer air — Verdi’s take feels like it’s about people: how they work and play, love and fight together, all while branches bud and summer days drag on, through the abundance of the harvest and the bitter cold of winter. 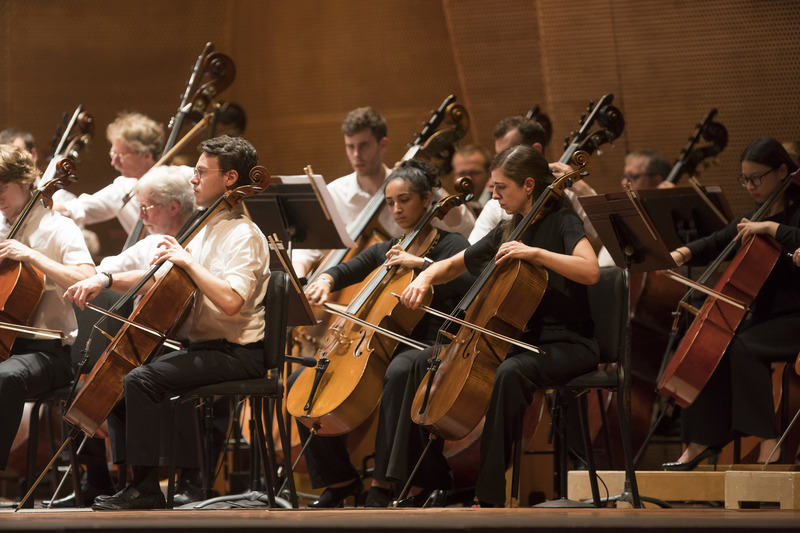 The Chicago Symphony Orchestra’s 128th season continues with Shostakovich’s Symphony No. 13 (Babi Yar), tonight and Tuesday 9/25 at Orchestra Hall at Symphony Center, 220 S. Michigan Ave. Tickets are $39-224 at 312-294-3000 or www.cso.org. Header photo: Courtesy of Chicago Symphony Orchestra, Photo by Todd Rosenberg © Todd Rosenberg Photography 2018.